The first job of a dealer is to help you design a home that addresses all your needs as a homeowner. Dealers can show you available options for floor plans, materials, and architectural styles. They can also help you explore interior details such as lighting fixtures and floor surfaces. A dealer can help you save money. One of the biggest selling points of modular homes is their affordability. A dealer can tell you which floor plans are less expensive to build. He or she may also be able to secure discounts by leveraging the needs of other customers and buying materials in bulk. A good dealer can also help you save time. Some floor plans are more complicated and therefore more time-consuming to build. 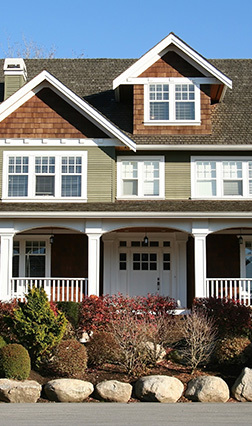 Exterior details such as porches and decks can also stretch out the time it takes to complete your home. An experienced dealer will be familiar with building times and advise you on specific decisions to get you into your new home on schedule. A dealer can provide you with peace of mind by supervising construction and ensuring the highest quality throughout the process. He or she can inspect the manufacturer’s work, assessing the materials being used, the performance of the laborers, and the timeliness of the progress. Modular homes can be attractive for their customization and affordability, yet they can also be confusing to navigate. Hiring a dealer can be a great first step to building the home of your family’s dreams.